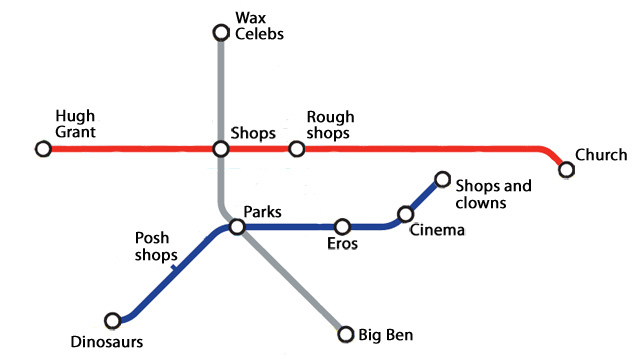 Tourists are the only group of people who really need a Tube map. Locals already know their way around, and business visitors always take cabs. So if we only need to cater for John Q. Sightseer, then the map condenses down to something really simple. Voila, the whole network distilled into three lines and twelve stops.